﻿ Couchtuner Reviews - Should You Watch Online Video on this Website? Couchtuner is an online video streaming service where one can get to watch their favorite television shows, movies, and series. They do not charge you anything to stream the shows on their website, and neither are their subscriptions like seen on other platforms like Netflix. Couchtuner aim at bringing you the latest of all the shows as they are released, and they are probably the best bet for those that are looking for a convenient place to stream content from. They are dedicated to providing unlimited entertainment, when and where you want it. Couchtuner took advantage of the fact that everyone is on the internet most of the time, bringing your favorite shows to your computers, iPhones and/ or iPads. You don’t even need to log in to begin, simply search for the show that you would like to watch and stream it. 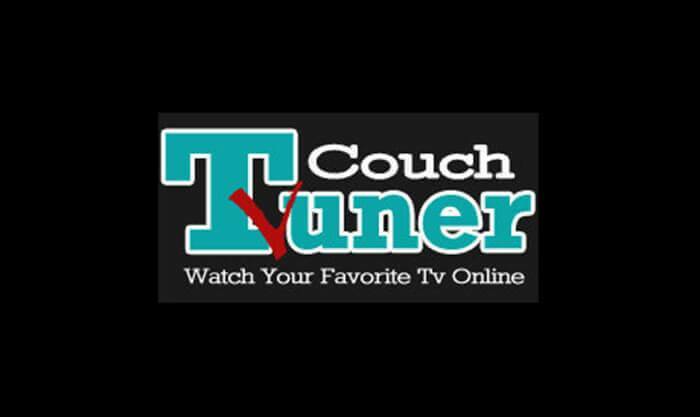 The Couchtuner website is very easy to use, and we are going to jog you through the process. When you first land on the website, the first page that you’ll come across is the home page, which contains the latest television shows. 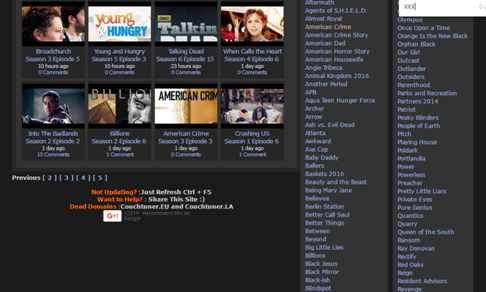 In the event that the show you’re not looking for is not on the homepage, you can search through the “Ongoing Tv List Only” or the “Search Old Shows Above” panels on the right side of the screen. If the shows you are searching for do not appear, type the name of the show into the search box and search. There is also a shortcut when searching using your desktop or laptop, simply press Ctrl + F and a search box will appear. Type in the name of the show. You could also just type the first letter of the title and all shows beginning with the same title will come up for you to choose from. Once the search brings up the show that you would like to watch, click on it. It will redirect you to another window as shown below. I settled for American Crime Season 3, Episode 3. Check it out on the lower side of the upper half of the window in the image. Besides the words “Watch it here”, click on the name of the show. In the top right of the player, there are three options: share, mute ads and switch to flash player. You can choose any that appeals to you. In the event that your video stops, refresh the page and click to play where it stopped. The other alternative, if it still refuses, is to clear the catch of your browser by pressing the Ctrl + Shift + Delete. In the event that you’re using your iPhone or iPad to stream, you can use the following apps: Allmyvideos, VSpot, Vidto, Safari or Chrome. When you’re done watching the show, you can comment or review it by joining the discussion below the video box. You would, however, have to log in using your Disqus, Facebook, Twitter or Google account in order to comment. For the sake of safety, there are a number of things that you can do to remain safe. There is one thing that you should know about Couchtuner, they don’t host any of the content that you watch on their platform. What they do is to connect you with free content that is found on other websites. This means that they do not face any copyright infringement charges, and neither do they charge you to watch. That is the first advantage of Couchtuner over other sites, it is absolutely free of charge. They will never even ask for your credit card details. The second advantage of Couchtuner is the fact that one does not have to go through all the signing up processes that other sites like Netflix require you to. You simply get there, click on your show and watch. The third advantage over some of the other sites is that you don’t have to download anything and risk infecting your computer with malware. You simply stream. 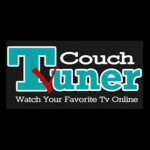 Couchtuner is something that you might want to try out. It offers tons of shows, including the latest series as they come, and all this at no charge at all. I hate the process of signing in to view my favorite stuff, and I think that is a very big plus here. Make sure to protect your computer like mentioned at some point in the article. You are here: Home / Services / Couchtuner Review – Should You Watch Online Video Streaming on this Website?